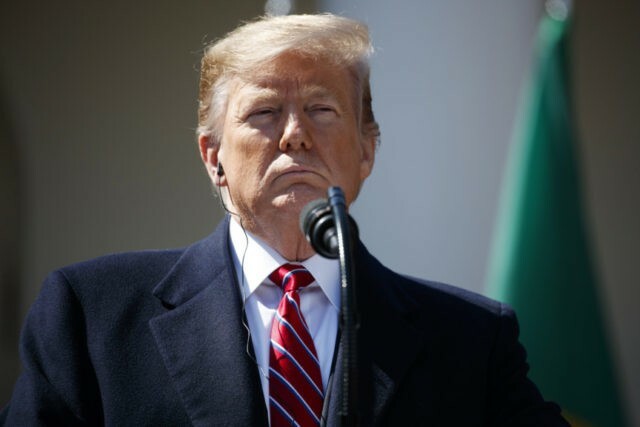 President Donald Trump triumphantly declared exoneration on Sunday after the Justice Department issued a summary of the Mueller investigation. Attorney General William Barr released his summary of the report in a letter to Congress released Sunday afternoon. The president also spoke to reporters about the investigation as he boarded Air Force One for his return to the White House from Mar-a-Lago. “This was an illegal takedown that failed and hopefully somebody is going to be looking at their other side,” Trump said. Barr’s letter made it clear that the Trump campaign did not collude or conspire with the Russians to influence that 2016 campaign. “The Special Counsel did not find that the Trump campaign, or anyone associated with it, conspired or coordinated with the Russian government in these efforts, despite multiple offers from Russian affiliated individuals to assist the Trump campaign,” Barr wrote. On charges of obstruction, both Barr and Rosenstein concluded that there was not enough evidence to charge the president with a crime. But Barr acknowledged in his letter that while the Mueller report did not conclude any crimes were committed by the president, it also did not fully exonerate Trump on obstruction. “The Special Counsel states that ‘while this report does not conclude that the President committed a crime, it also does not exonerate him,'” the letter read. Barr also acknowledged that the absence of collusion made it difficult to prove a case of obstruction. “In making this determination, we noted that the Special Counsel recognized that the evidence does not establish that the President was involved in an underlying crime related to Russian election interference, and that, while not determinative, the absence of such evidence bears upon the President’s intent with respect to obstruction,” he wrote.